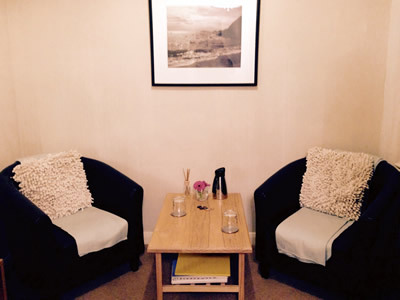 Tranquil and secluded therapy room for hire serving Barnard Castle and Teesdale (10′ x 10′). Private ground floor location with access for the disabled. Separate WC facilities and on site parking. Suitable for use by therapists offering a range of holistic complimentary treatments such as Raiki, Indian Head Massage, hypnotherapy and EFT. Further larger ground floor therapy room with plumbing for water now available. Suitable for group work and other holistic therapists, please enquire.